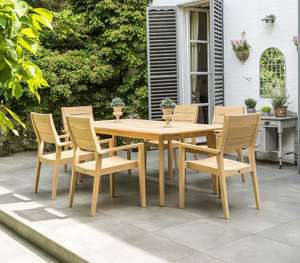 Always a classic, beautiful high quality teak and other high grade hardwoods will always look great in any garden patio dining scheme. 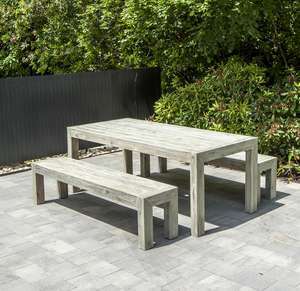 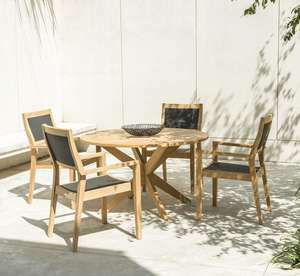 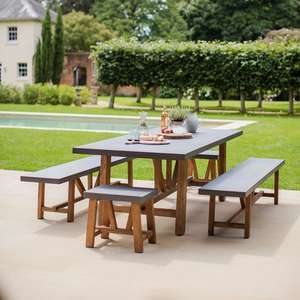 Wooden garden dining sets in stunning designs with the combination of teak and high tech materials, such as textilene, aluminium and steel, means you can still have modern combined with the natural beauty of wood. 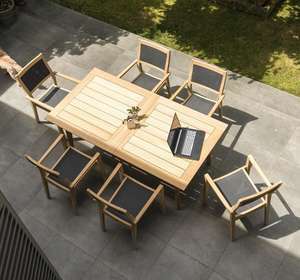 Modern Round Hardwood Garden Dining Table & 4 Textilene Armchairs.